When we walked into the screening hall for the movie Bhopal: A Prayer for Rain; there was a hint of restlessness in the air. After all this was a movie about one of the largest manmade disasters in the world. Till date, Union Carbide has not tendered an apology neither have the successive governments tried to make things right. It was akin to walking back in time, as the movie started. Rajpal Yadav essays the role of a laborer struggling to make ends meet. His on-screen spouse, Tannishtha Chatterjee, plays the role of a loving and understanding wife very well. It was very disorienting when I met her in person and her Oxford English threw me off balance! 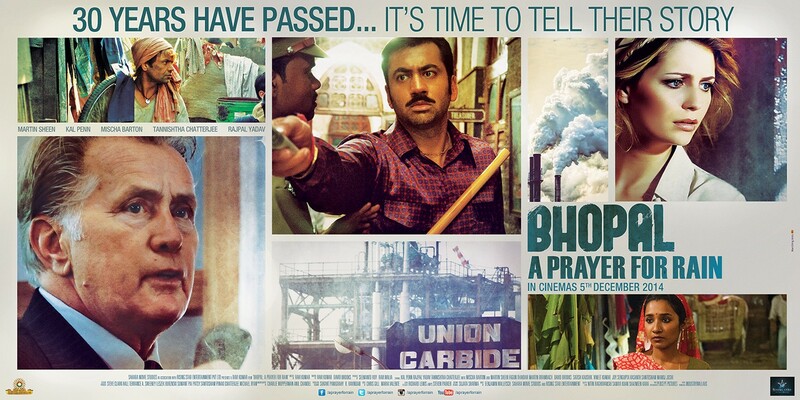 The movie aptly portrays life in a small town called Bhopal. There is no masala, there are no songs. The movie is dark, it’s true and the director has left no stone unturned to make the viewer cringe at every scene. The film is a ticking time bomb from the word ‘go’; and it’s nothing less than a thriller. The outcome of the movie is something that has been documented enough and sure as hell; the tragedy did happen. You will cringe at the sights and sounds; how the entire state machinery washed its hands off something as monumental as this. Kal Penn plays his part of a journalist with ease and adds some comic relief; which is surreal at best because there is a bigger game in motion already. One thing about the movie which was in stark contrast to public perception is the portrayal of Andersson played by Martin Sheen. He’s shown as a wily businessman who goofed up big time. But the callousness is evident, when, even after all the deaths; all he was really concerned was protecting his public image; the mark of an unethical businessman. When asked about the reaction in the US about the movie, the director exclaimed: “Anger!”. It’s bound to happen when people worldwide realize the tremendous cover up involved at multiple levels on the part of Union Carbide. If this had happened in Virginia as had been planned at the time the disaster happened, you could’ve imagined the legal implications as well. So how much did Union Carbide finally pay in settlement? $470 million dollars and $2000 per corpse. 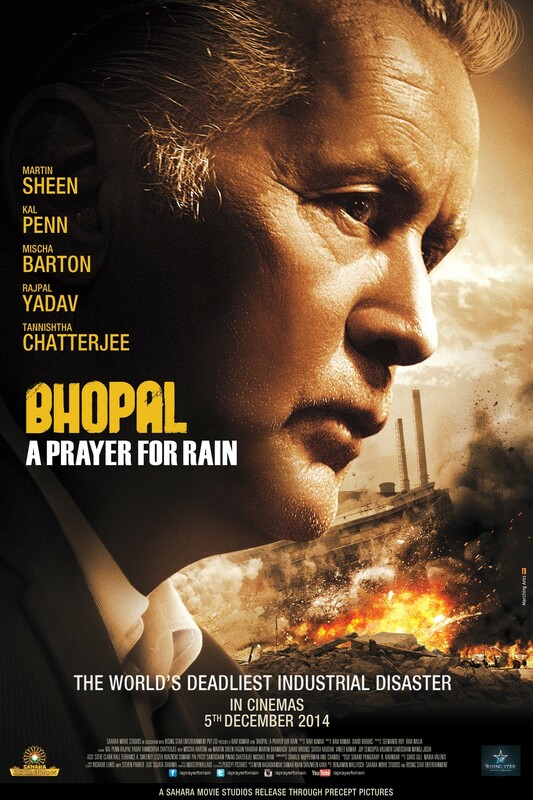 IndiBlogger had partnered with Bhopal: A Prayer For The Rain for a private screening of the film for bloggers in Mumbai. When did the screening happen?